These are our most comprehensive level of survey and reporting. A Building Survey will almost certainly bring to your attention defects that you didn’t know existed. Knowing about building defects in advance will save you future expense and help safeguard your investment. The key survey areas in any building are movement, dampness and rot decay. Building Surveys are bespoke documents and tailor-made to Client needs. These are an intermediate level of report in a pre-printed format prepared by the RICS. The Home Buyer Report is the most frequently requested survey. It is suitable for most flats and houses. 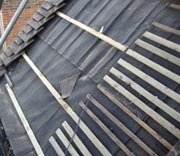 As for Building Surveys, all aspects of a building are reviewed/analysed. However, within a Home Buyer Report a condition rating is also specified. 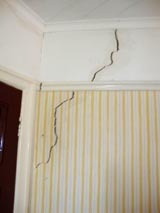 Key survey areas likewise include movement, dampness and rot decay. We would be pleased to provide a fee quote upon request. These are a basic level of report in a pre-printed format prepared by the RICS. The Condition Report is a concise survey providing a clear picture of the state of the property. It is suitable for conventional properties and newer homes both flats and houses. Valuations are a minimum requirement for most mortgage lenders. In addition to residential valuations, we are able to provide valuation advice for Capital Tax purposes (probate/Capital Gains Tax) including advice as at 1982. We are able to provide valuation advice for leaseholders and Landlords in respect of lease extensions and freehold purchases (Collective Enfranchisement). We will be pleased to discuss all aspects of this work, including eligibility and procedures. The Party Wall Act allows you to carry out work on – or next to – a shared wall. At the same time protecting the interests of anyone else who might be affected by that work. Our Surveyors act impartially to minimise potential disputes determining the time and way in which potential works are carried out. We have extensive experience in the field of dilapidations in preparing interim, terminal and Scott Schedules. We are able to provide advice to both Landlords and Tenants. Drawing work most frequently required by Clients includes the preparation of detailed plans and elevations for the purpose of obtaining planning and Building Regulation approvals. In addition, we are frequently asked to provide amended Lease Plans for building alterations for inclusion within lease documentation and so forth. We have extensive experience within this varied field of work as designers and project managers. We are able to initiate and supervise works from inception through to practical completion. We will be pleased to discuss any requirements/aspects of building work/projects that you may have or are considering. Our Surveyors have extensive experience in the diagnosis of defects and in the preparation of Schedules of Work required for general maintenance and repair. We will be pleased to discuss any maintenance requirements, as well as specifying and tendering any works. Our Surveyors have extensive experience providing Reinstatement Cost Assessments both for private Clients and most mortgage lenders. We have access to the Building Cost Information Service (BCIS) for up-to-date house/flat rebuilding prices/tables. An example of this work includes calculating the rebuilding costs needed for fire insurance purposes. Energy assessments are now a marketing requirement for most properties. Simplistically, the audits result in the compilation of an energy efficiency graph and CO2 emissions graph. These indicate how efficient your property is and its potential for improvement. We are able to arrange for surveys to be made. We similarly have extensive experience in the field of Town Planning and Building Regulations; an “ever changing” environment. Obtaining Planning Permissions and Building Regulations (even retrospective permissions) are areas of work that we frequently undertake. We will be pleased to discuss any aspects of these fields. It is quite common for boundaries to fall in disrepair and become ill-defined. We have experience in determining most issues that frequently arise – we may be able to help and will be pleased to discuss any queries that you may have.